No matter whether you are looking to address a specific behaviour problem, improve your horse's emotional wellbeing or to develop your horse's physical health through their suppleness, coordination and balance, we can help you towards achieving better animal behaviour and more satisfying human-animal relationships. Equi-libre Horses is run by Jo Hughes, a dedicated equine training and behaviour consultant teaching the art and science of positive horse training. 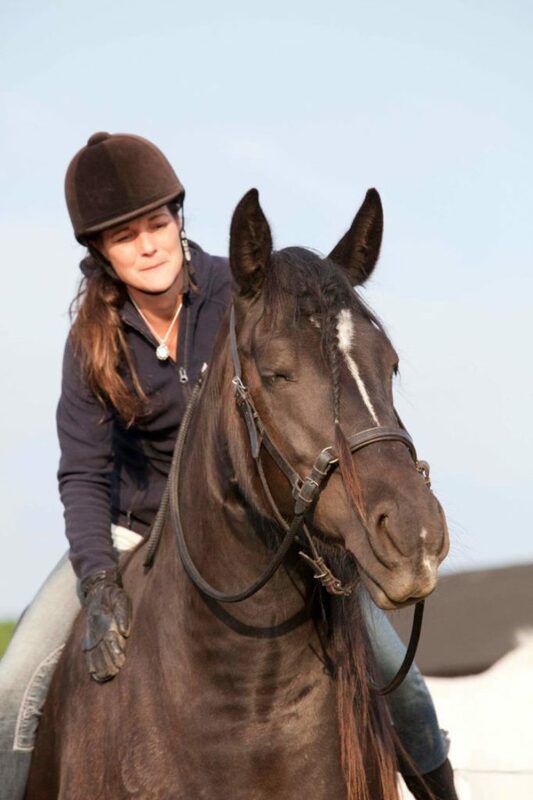 As an experienced instructor, rider, trainer and behaviour specialist with a long history in showing, eventing and classical dressage, Jo has extensive practical horse experience which has come from a lifetime of owning and competing horses in all spheres. Equi-libre Horses can support our clients in an enormous variety of different ways. Here are just some examples of the services we can provide. Why not drop Jo an email to discuss how she might be able to help you. Shaping behaviour using bridge signals (a clicker or otherwise), positive reinforcement and behaviour modification protocols of systematic desensitisation & counter conditioning!